Patient JL was referred to me via the refractive surgery center. DF has a history of RK OU, PRK OU, and mmc treatment 2x OD. 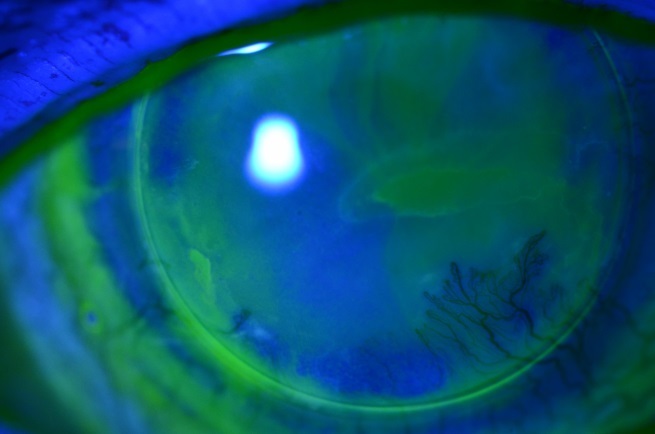 Patient had monocular vertical diplopia with farsightedness and moderate to high astigmatism OD. The patient was a Doctor and could not see detail for suturing. 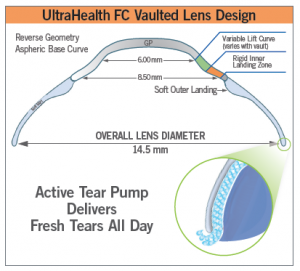 Keratoconus Patient Thrilled with the Improved Comfort of UltraHealth! "My patient is thrilled with the improved comfort of UltraHealth. He achieves 20/25, reports no foreign body issues and is able to wear the lens 14 hours per day without days off for “irritation”. His new comfort rating is a 5!" Better Vision than Any Lens We'd Tried in the Past! Satisfactory Near Vision, without Utilizing Readers!